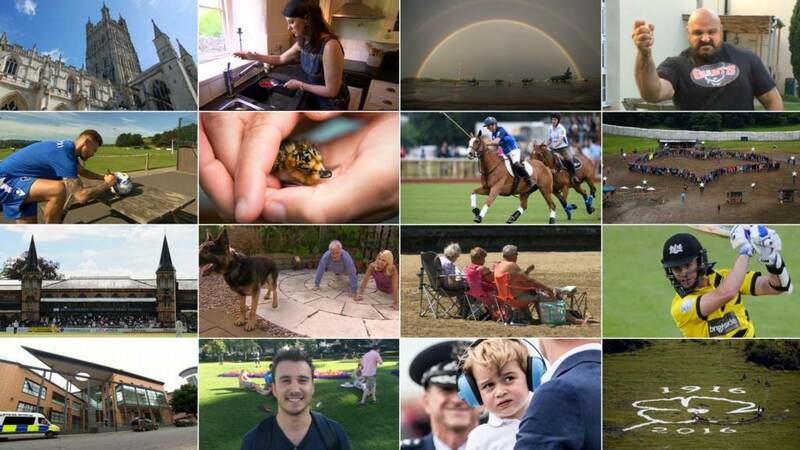 Live news, sport, weather and travel updates from across the West of England on Tuesday 25 April 2017. Well that's all for tonight from us. We'll be back with more news, sport, travel and weather tomorrow from 7am. Just time to leave you with tonight's weather forecast, and it looks like we're going to get some sunshine and showers on Wednesday. Here's Ian Fergusson with the details. Blue Max Banner supplies 10,000 schools and their machines can embroider eight garments at a time. But how? Have a little look for some factory magic! It looks like Taunton Flower Show is to move from the site it's been held at since 1851. Organisers say they need to find a new venue after Taunton Deane Borough Council decided to charge them for the use of Vivary Park. The annual show is said to be the oldest event of its kind in Britain. The event's Jim Lewis said: "We understand the council’s financial constraints but it is simply not economic for us to accommodate a five-figure charge within an already tight budget." This year's show will be held at Vivary Park as normal, at the beginning of August. Police have been searching open areas in north and central Bristol in the hunt for a student nurse, who hasn't been seen for nearly two weeks. Anna Lewis, 27, is a trainee nurse living in Fishponds in Bristol. She is studying at the University of the West of England, and was working at Southmead Hospital on a placement. She was last seen on CCTV leaving the hospital on Thursday 13 April. Ms Lewis was reported missing by her family last Friday. Police have said her disappearance is out of character and they are growing concerned for her welfare. Today police announced that specialist officers will be searching in north and central Bristol. Det Insp Roger Doxsey told our reporter Scott Ellis there have been 10 sightings reported since the campaign to find her began. Martin Pearce completed the London Marathon dressed as a shoe. He did it all to raise money for Children's Hospice South West and is giving his medal away to one very special girl. Video caption: Martin Pearce completed the London Marathon dressed as a shoe.Martin Pearce completed the London Marathon dressed as a shoe. The UK should introduce a minister for refugees, according to a parliamentary group headed by Bristol West's Labour MP Thangham Debonnaire. An eight-month inquiry says refugees are welcomed well in the UK, but more could be done. Ms Debonnaire explained how a new refugee minister could help resolve the current two-tier system. Snow? Sunshine? Hail? Who knows in the West today! Some dogs are good at catching balls. This one's talent is catching planes! A guide dog from Wiltshire has been named as easyJet's most frequent flyer - after taking his 35th flight. Joey the guide dog mainly flies between London and Cyprus with his owner Jan Gibson from Swindon. She said: "The crew and passengers often fuss over Joey and take photos as it's not often you get to see a dog on a plane." EasyJet does not allow animals on its flights, apart from guide and assistance dogs. Peter Duffy from easyJet said: "With 35 flights under his collar, he must be one of the most travelled dogs in the country." The trust which runs the Exmoor Pony Centre near Dulverton says it needs £20,000 to keep going. The centre promotes and protects the animals which roam freely on the moors. It opened in 2006 and has attracted more than 50,000 visitors, while some 300 moor-bred foals have been saved. Staff say they will struggle to stay open beyond August if they don't raise the cash, and have started a fundraising campaign. A French rugby player is facing a disciplinary hearing after an incident in the European Challenge Cup semi-final between Gloucester and La Rochelle at the weekend. The Cherry and Whites' Richard Hibbard was allegedly struck by La Rochelle's Jone Qovu Nailiko in 45th minute of the match. The EPCR, the governing body of club rugby in Europe, has confirmed it has received a citing complaint, and a disciplinary hearing will take place tomorrow. Gloucester won the game, and will face Stade Francais in the final at Murrayfield on 12 May. This was the scene in Cam, Gloucestershire, this afternoon as hail turned the lawns white. "Roll on summer," said John Wilkes who sent us the photo. The penultimate stage of the Tour of Britain will end in the centre of Cheltenham, it's been revealed. Some of the world's top professional cyclists will race through the Cotswolds on Saturday 9th September - for the 7th stage of the race. En route they'll take in Bourton-on-the-Water, Stow-on-the-Wold, Moreton-in-Marsh and Winchcombe, and a King of the Mountains climb on Cleeve Hill. You can get full details on the Tour of Britain website. Head coach Willie Kirk wants Bristol City Women to play more games at Ashton Gate, after playing there on Saturday for their first league match of 2017 in a rare double header with City's men. Kirk's Vixens lost 3-1 to Reading in Women's Super League One Summer Series, kicking off an hour after the end of Bristol City and Barnsley's Championship meeting. Police have been explaining why they are becoming concerned for the welfare of a student nurse from Bristol, who went missing earlier this month. Specialist officers are searching open areas in north and central Bristol in the hunt for Anna Lewis, 27, was last seen on CCTV leaving Southmead Hospital on 13 April. Det Insp Roger Doxsey from Avon and Somerset Police explained why they were now becoming worried. You've been sending us your snow photos on the Points West Facebook page. Fiona says her kids managed to have a snowball fight in Axbridge, Somerset. And Mandy sent this photo from Weston where more snow has settled. Well - a small dusting, anyway! A419 Wiltshire southbound severe accident, between A4259 Marlborough Road and M4 J15 affecting A4312 Oxford Road. A419 Wiltshire - One lane closed and queuing traffic on A419 Marlborough Road southbound in Swindon between Commonhead interchange and Swindon East, because of an accident. Congestion to White Hart Roundabout. Back now to missing student nurse Anna Lewis. Our reporter Scott Ellis has been talking to Det Insp Roger Doxsey. He says there have been 10 sightings reported since the campaign began to find her. Anna, 27, was last seen on CCTV leaving Southmead Hospital on 13 April. Specialist officers are searching open areas in north and central Bristol as police continue to hunt for a student nurse who went missing earlier this month. Here's the scenes on the beach at Weston. There's just been a hail downpour in Bristol city centre too.